You will find the guidance, discipline and support you need at Bill Taylor’s Bushido School of Karate. In your adult martial arts classes at Bill Taylor’s School in Murfreesboro, you will learn Wado-Ryu style karate. Our approach to teaching adults martial arts classes provides versatility in training and a greater understanding of self-defense. 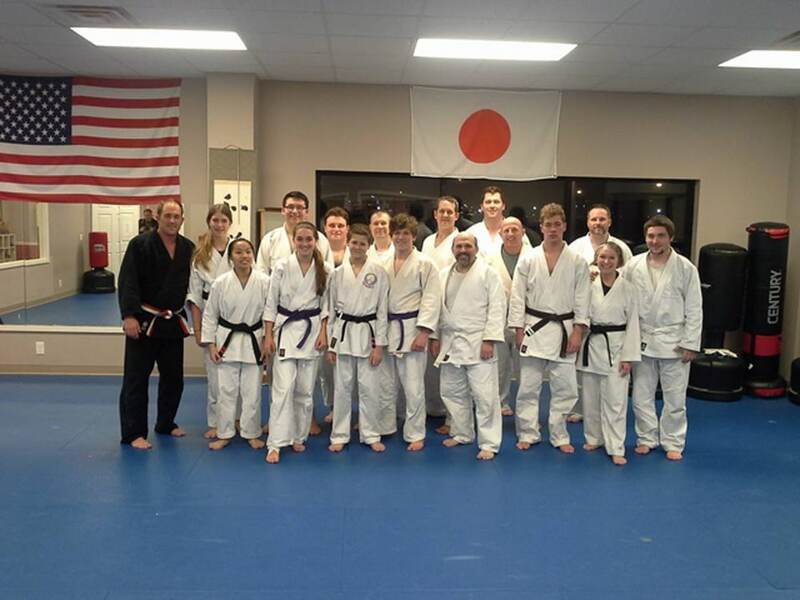 Our adult martial arts classes in Murfreesboro are for people of all ages. We have parents that started karate with their kids to grandparents that use karate as a way to stay active and get healthy. Karate is great for people of all fitness levels and ages. We will work with you to ensure you’re achieving your goals and seeing positive results. You’ll get in great shape while challenging yourself, learning self-defense, and having fun in karate classes. You will feel amazing! Martial arts is a full-body workout that helps you get healthy. You’re not running on a treadmill for hours a week, you’ll be learning something new and accomplishing challenges you never thought you could. You’ll be growing your physical strength, while enhancing your mental strength as well. Karate is also a great way to relieve stress. It’s been scientifically proven that good, hard exercise relieves stress. Add that to that the added benefit of learning to properly kick and punch — let your worries melt away during your adult martial arts class times. The best part about Bill Taylor’s Bushido School of Karate is that we really are a big family. Best friends spanning decades have been made in our Karate classes. We often hear how even after just one class people feel they belong and really connected with other students and instructors. We have a good time and always enjoy bringing in new people and personalities to our family. Make us part of your family! Self-Defense is a big incentive for learning martial arts. Both men and women sign up for karate instruction to feel more prepared to deal with an attacker situation. Whether you’re a professor that works late on campus at MTSU, a single mom working the second third shift or a dad with kids to protect — we can help you be more prepared for the unknown. Don’t be caught unprepared in a dangerous situation—in our karate classes you’ll learn how to properly react — effective punches, kicks and jabs to get away, prevail over your assailant and get to safety! We want to make sure Murfreesboro men and women are safe and equipped with the self-defense skills you need.